Koch Industries was an investor in Thayer Aerospace, the business that Pompeo founded before running for Congress in 2010. 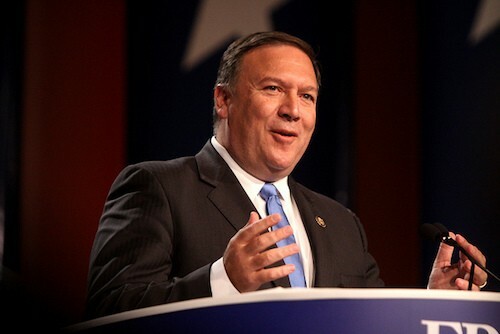 In 2014, Koch Industries supported Congressman Pompeo in a hotly-contested GOP primary contest against former Rep. Todd Tiahrt, whom the Kochs had supported for the seat for 16 years before he made a failed run for the Senate. For the 2014 election cycle, Koch Industries was Pompeo’s top donor by far, with $104,400 in individual donations, plus the maximum $10,000 contribution from the Koch political action committee. While backing Pompeo, Koch Industries also has been the most fervent, big-spending lobbyist against improved chemical safety, at least since the September 11 attacks focused greater public attention on the risks. A chemical catastrophe could result from accident, natural disaster, or deliberate attack. A 2013 ammonium nitrate explosion in West, Texas, which killed 15 people and injured 160 more, triggered an executive order by President Obama that has produced the new proposed rule; federal investigators concluded in May that the explosion was set off intentionally. There surely would be scrutiny of a weak EPA rule, or of the government’s failure to enact any rule at all, if one day we did have a major chemical catastrophe. The pesticide plant in Bhopal India, which killed 20,000 people following a 1984 accident, was owned by a U.S. company, Union Carbide. If that plant had been located in the U.S. and 20,000 people had died here, we would have fixed this problem long ago. In order to protect the American people, the EPA should be moving to strengthen the rule by requiring plant operators to move to safer technologies where feasible. Pompeo’s effort to, instead, eliminate any regulation at all is the height of irresponsibility — sacrificing public safety at the behest of special interests.